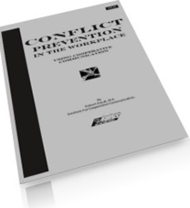 Summary: Bullying at work is becoming a more recognized problem, and some jurisdictions, (e.g. Quebec, Canada) have introduced anti-bullying legislation. Read more about workplace bullying and the role of managers in dealing with it. You know the problem. All of us do. Many workplaces have at least one person who is aggressive, selfish, pushy, and seems to be concerned with getting his or her own way rather than doing the job, or helping the organization. Or perhaps you are more familiar with bullying that comes from members of the public. Whatever the source, bullying and self-centered behavior can be stressful, reduce productivity and create supervisory and management problems. We are going to look at bullying and manipulation and look at how supervisors might address these problems in their workplaces. What Are We Really Talking About? Bullying is probably not the best word to describe self-centered behavior. That's because we associate bullying with a very aggressive stance where a sense of threat is involved - like the "schoolyard bully". If we use the word bullying, we may miss other, more "tricky" behavior that is less "in your face", but is as damaging or more damaging. Whether we call these behaviors bullying or manipulative, one thing is held in common by both. Both involve a person trying to get their own way with no concern for the rights, needs, wants and desires of others around them. To improve at dealing with manipulative behavior you need to understand what it's about. Manipulation and bullying are about two things. The first is about getting one's own way. The second is about control and power. Manipulators tend to use manipulative techniques even when they don't work because manipulation gives them a sense of importance, power and control. The manipulative person draws other people into the web, and gets to control conversations and discussions, becoming the center of attention. Manipulative people win by getting their own way, becoming the focus of attention or controlling others. There's one other thing to keep in mind. Manipulative behavior is a part of being human. Probably most people use it some of the time, particularly the less aggressive forms. It doesn't just come from people with emotional problems. Of course some people use it as their main way of dealing with the world, and those are the situations we tend to notice. "Chronic manipulators" just manipulate more often than the rest of us. Managers and supervisors have a responsibility to do their best to create a respectful workplace, as free of manipulation as possible. That isn't to say supervisors are the only ones responsible. Ultimately everyone can help. Let's look at some suggestions. Some forms of aggression in the workplace are illegal. The more subtle forms of manipulation that occur are often not illegal. It is important that YOUR work area have a policy (it can be formal, or informal) that identifies the kinds of behavior that are inappropriate and how people in the work unit should treat each other. Involve staff in your work unit in drafting a simple informal policy. A good starting point is for staff to answer the following question: "How should we treat each other in our workplace?" Then, define what the answer to that question means in terms of specific behavior and action (eg. No gossip, dealing with problems directly with an individual, no laying on guilt, no blaming). Staff look to you for guidance. If YOU gossip or blame, your staff will gossip or blame. If YOU use guilt and indirect, "tricky" ways of communicating, so will your staff. Model what you want each and every day, no exceptions. Consider also that your position of authority (such as it is these days) is not reason enough to flaunt it or exercise it indiscriminately. The best use of authority and position is "rare use". Staff meetings are important. Attempts to monopolize the floor, blame others, innuendo, aggressive behavior in meetings send a signal to employees that manipulative, controlling behavior is acceptable. You can get around this by using proper meeting management techniques, and having a chairperson who will interrupt if discussions go over the line. Having that informal policy in place allows this to work. The chairperson need not be you, but it must be someone who is able to jump in assertively if required. Managers and supervisors can be drawn into attempts to convince them to side with one person or another in a manipulative disagreement. If you are "in the middle", don't play this game. Focus on solving the problem or addressing the issue, not figuring out who is at fault (often it's everyone!). Keep in mind that you are not a professional counsellor or mediator. In some cases, particularly involving two difficult employees, the situation can be referred to people who specialize in mediation. Don't try to go beyond your training and abilities. Apart from your own positive influence, consider this. Many people who use manipulative techniques do so because they don't know any other way to deal with disagreement, or express themselves in constructive ways. Their difficult behavior may be a result of lacking skill. 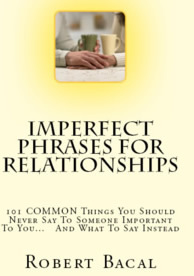 In SOME cases, opportunity to attend training in assertiveness, or communication can be helpful. However, if an employee is forced to attend, the chances of change are minimal. Training in communication, conflict resolution and assertiveness works best when people attending recognize they are making their own lives difficult, and want to find better ways. If you have a formal or informal policy in place, you can include or reference it in the expectations regarding work performance that should occur regularly as a result of performance management or communication about job performance. Some organizations will indicate to each employee individually, that they are responsible, not only for their "job tasks" but for ensuring they treat their co-workers with respect (or in accordance with the estalished guidelines or policies). This is helpful in two ways. It allows one-on-one discussion between you and each employee. It also allows the use of progressive discipline in cases where a person is persistently treating others poorly. Manipulative behavior and its more extreme cousin, bullying, can seriously damage the productivity and effectiveness of everyone in your organization. If you are in the middle, it's no fun. The best approach is to prevent it from starting, and if it starts, to address it early. While the subject is a complex one, if you work with staff to create clear understanding of acceptable and unacceptable behavior, act as a role-model for how people should treat each other in your work unit, and help staff develop alternate and better ways of interacting and communicating you will go a long way to reducing the time, stress and aggravation that results from one or more manipulative people in your workplace. Robert Bacal is a noted author, keynote speaker, and management consultant. His most recent books include Performance Management - A Briefcase Book, and The Complete Idiot's Guide To Dealing With Difficult Employees. 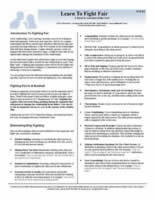 The Work911 Supersite contains many more free articles and tips on a number of workplace topics. Access it at www.work911.com . Robert can be contacted via e-mail at ceo@work911.com or by phone at (613) 764-0241.